If you’re a fan of authentic architecture, then you will love the historic center of Bruges. In the middle age the city has been a commercial metropolis in the heart of Europe. Due to its cultural and commercial status and the Gothic architecture it was designated a UNESCO world Heritage Site. The “Old Market” forms the center of this ancient Bruges and with all its terraces and beautiful views, this is the perfect place to enjoy a cold Belgian beer. The Belfort – Belgium’s most famous belfry is also located on this market square. The panoramic view from its tower is surely worth the 366 stairs! A must for every art lover. 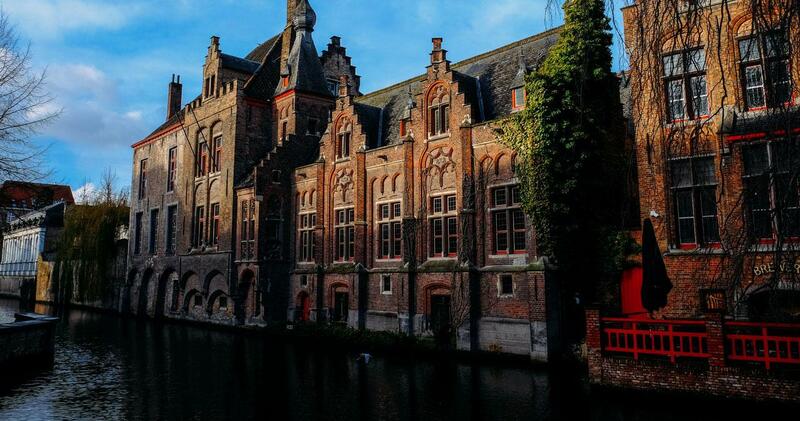 The Groeningsmuseum is Bruges’ most celebrated art gallery, displaying a huge collection of artwork from Flemish painters like Jan van Eyck or Hans Memling. Perfect choice for rainy days and the place to be if you’d like to absorb some culture! With its network of canals, a boat tour is one of the best ways to discover Bruges and it will give you even more the feeling that you’re in a fairytale. Do not miss the incredible sites you get to see from the water! If you are in the mood for a longer walk, the Windmills at the eastern edge of Bruges are the perfect destination. The four romantic looking windmills date from the 18th century and are located along the medieval city gates of the original city wall that’s now covered by grass. You could either enjoy the picturesque view or visit the museums that are located in two of the four windmills. Another UNESCO World Heritage Site in Bruges and probably the most silent spot in the city center. This Béguinage with its white colored house fronts was founded in 1245 and gives you a good impression of what the daily life was like back in the 17th century. Best time to visit is Spring when the green grass is all covered by daffodils. We don’t need to tell you that Belgium is famous for its food. Eating French fries, chocolate and waffles really characterizes a typical getaway trip in Belgium. Besides this, Bruges also offers delicious seafood in beautiful typical restaurants. Find here a list of restaurants and dishes you absolutely need to try. Do you feel like visiting Bruges anytime soon now? DriveNow makes it possible to discover Belgium by car, even if you don’t own one. Just book the hourly package of your choice via the DriveNow app under “Book packages” and you’re ready. Here you can find more details about how to book an hourly package.